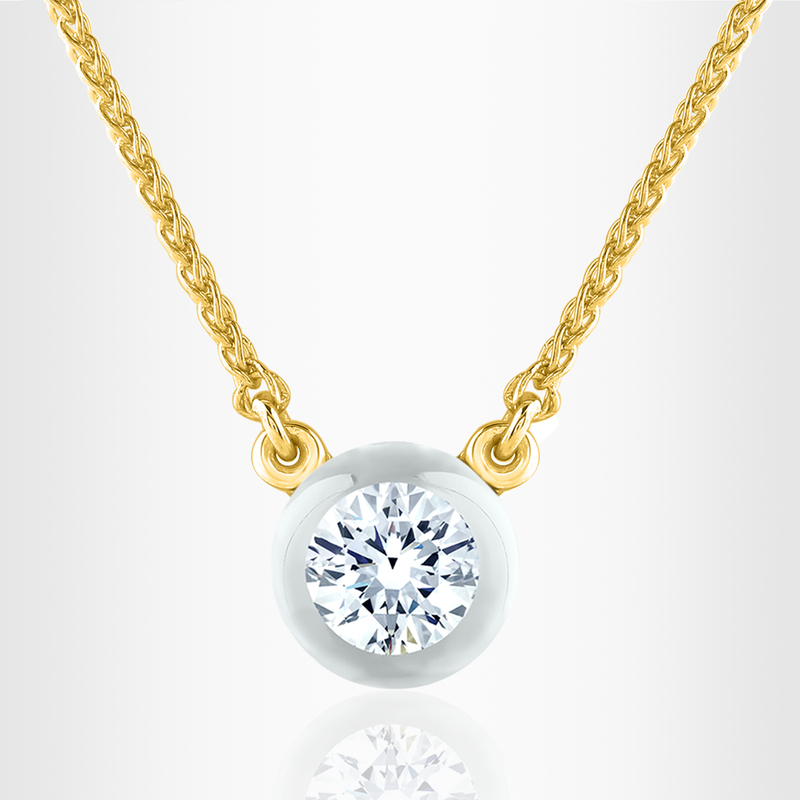 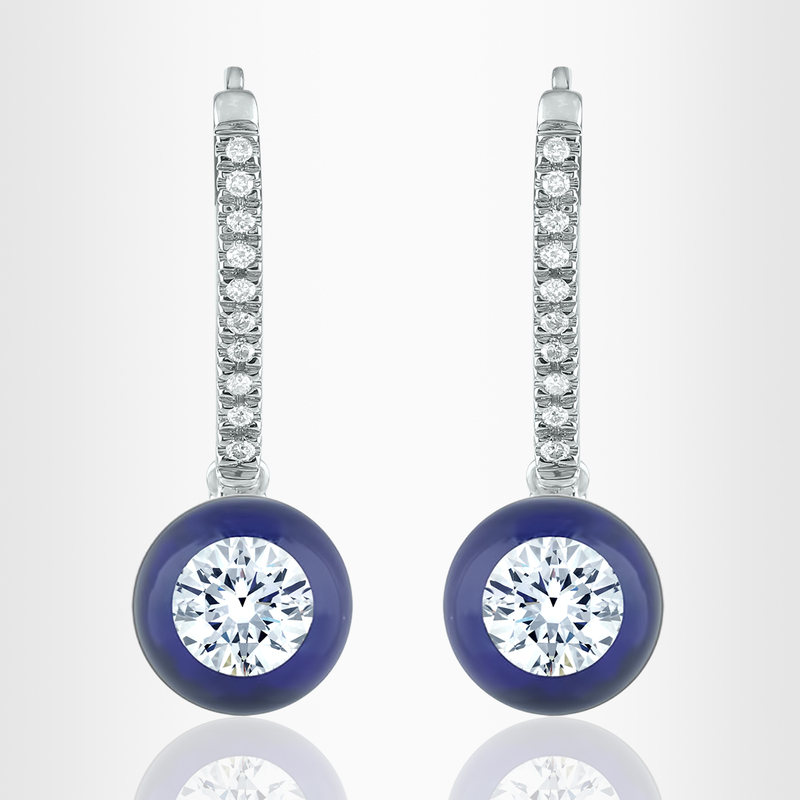 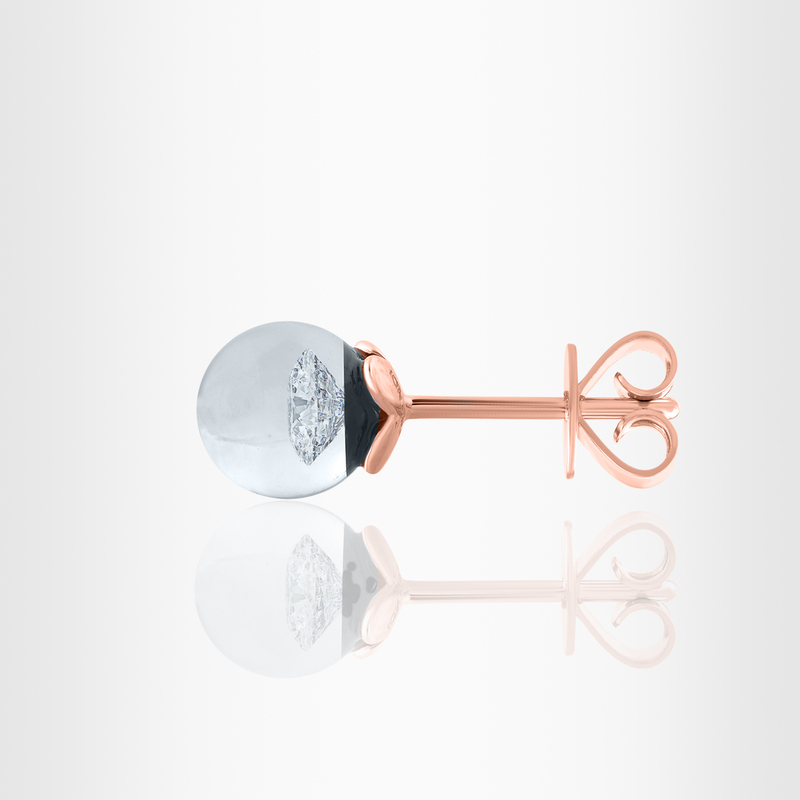 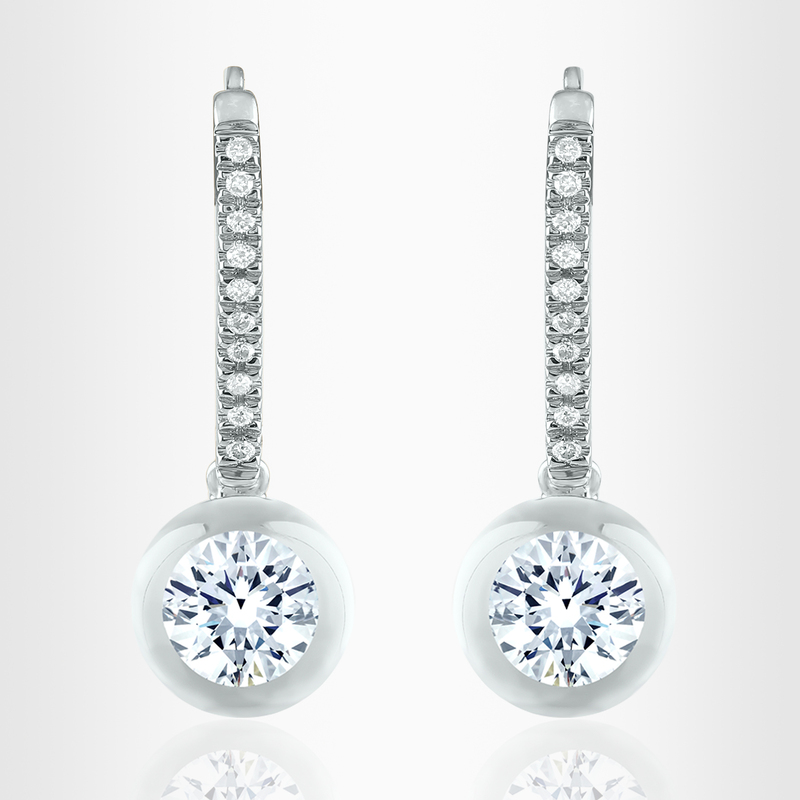 Scintillation with every turn, one brilliant diamond floats in a globe of glass that is supported by a 14K gold chain. 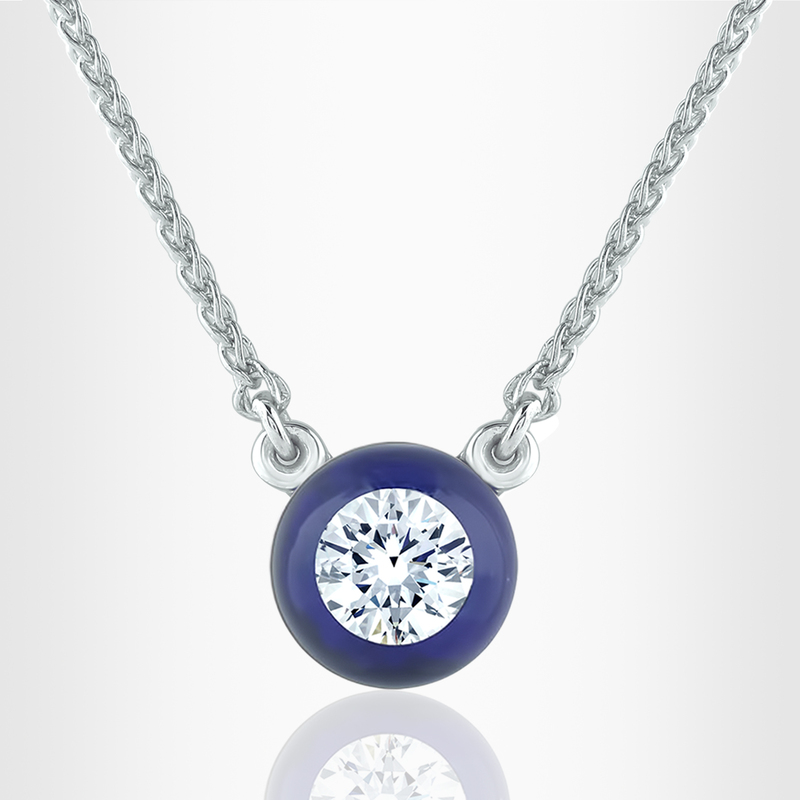 This illusion pendant is the one magnificent piece of diamond jewelry you were meant to wear. 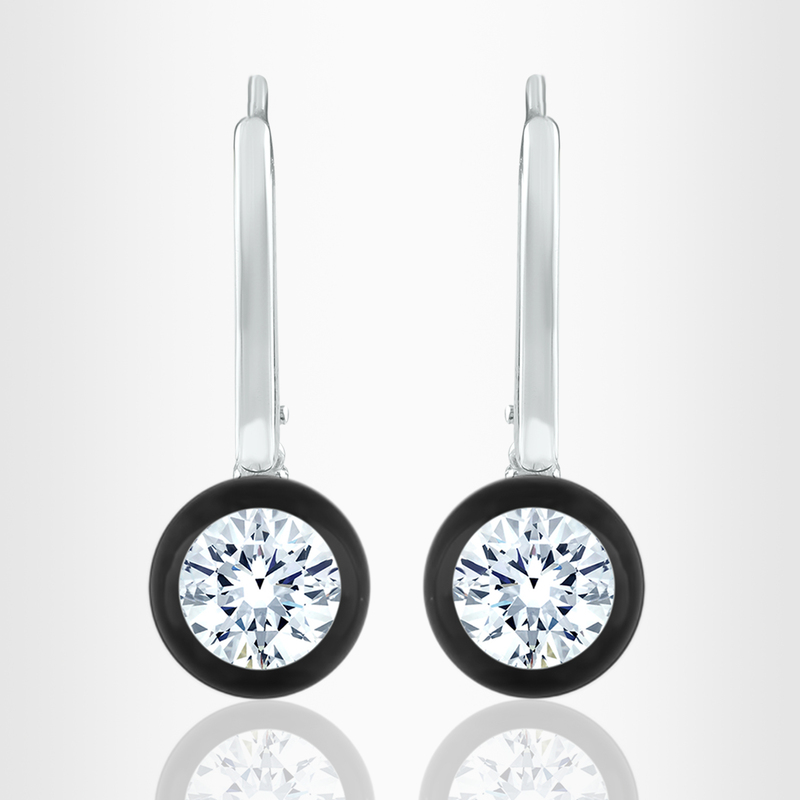 For exact product specifications please make your selections above.